OnLive made its mark with a streaming service that allows almost anyone with broadband access--whether they're on a Mac, PC or other platform--to play a wide array of PC games. OnLive's servers do all the heavy processing--3D rendering and such--then stream the resulting video to client apps via a broadband link. 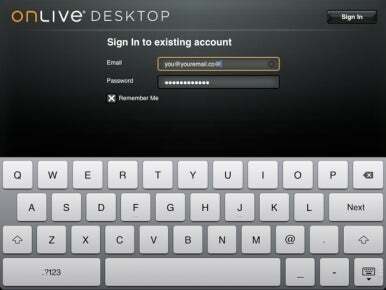 As noted, the free OnLive accounts gets you 2GB of online storage and access to those core Microsoft apps. If you want more options, you'll need to pony up $10 a month for a Pro account. That gets you 50GB of cloud storage, Web browsing, and a limited ability to install additional PC applications. 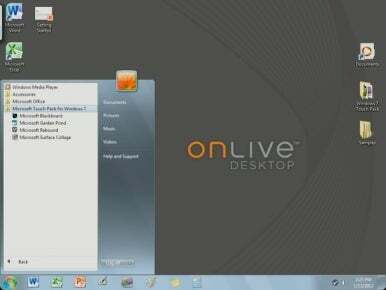 OnLive will also be offering enterprise versions of the service, which will include extra customization options for the end-user's organization. 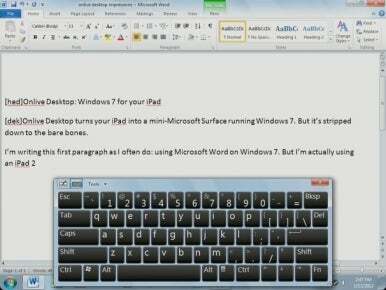 Future options will include collaborative services, including desktop sharing (with chat).